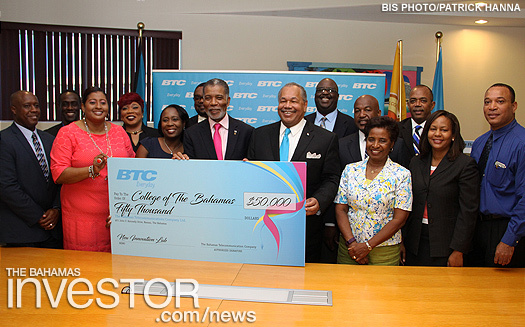 The two stakeholders have signed a $50,000 Memorandum of Understanding for the Innovation Lab at the Harry C. Moore Library and Information Centre, COB. The new initiative is expected to enhance the technological talents of the college’s students. 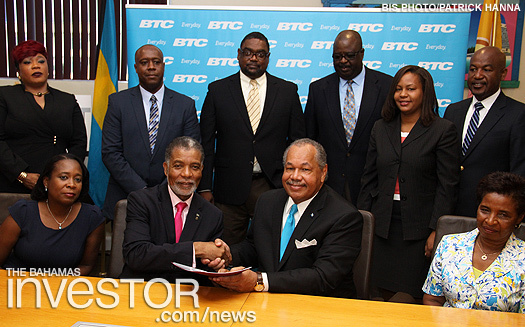 Leon Williams, CEO of BTC, said technology is of “utmost” importance. He described the occasion as a Blue Letter Day that is nothing short of “revolutionary”. He said the Innovation Lab will serve as a “centre of excellence” not only in The Bahamas but in the region, and will provide tools and incentives for students to create software applications to be used in different settings. Dr Rodney Smith, president of COB, said as the college progresses towards university status, it is “vital” that it continues to develop partnerships to help build a world-class university that will help to significantly contribute to building the nation. As part of the memorandum, BTC has committed to opening a campus franchise store, installing the latest programming software, gaming technology, Promethean Interactive Whiteboard Systems and videoconferencing equipment. 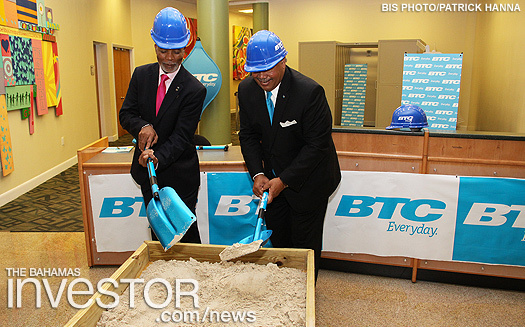 BTC will also provide wireless internet access throughout the Oakes Field Campus and host an annual Hackathon at COB. COB will provide training in Entrepreneurship and Business Management and provide 24-hour LAB support remotely or on location. Architecture students and professors will be involved in designing the space for the Innovation Lab. Emmit Francis, COB student, and Terrinique Bullard, COB graduate, along with Henry Hepburn, professor, gave a video presentation depicting the proposed site for the Innovation Lab. Following the official signing of the MOU, a groundbreaking ceremony was held. Ministry of Financial Services hosted discussions regarding the Securities Commission of The Bahamas' launch of Investment Funds Act, July 8, 2016.